" Caleb Rodney Layton "
Date & Place of Birth:September 8, 1851, on the Long farm near Frankford, De. Married:Annie E. Sipple Layton ~ ( 1849 - 1925 ) ~ " View her online memorial "
Children: Rachel Sipple Layton Layton ~ " View her online memorial "
Daniel John Layton, Sr. ~ " View his online memorial "
Caleb Sipple Layton ~ " View his online memorial "
Attended the public schools and Georgetown Academy; was graduated from Amherst (Mass.) College in 1873 and from the medical department of the University of Pennsylvania at Philadelphia in 1876 and began the practice of medicine in Georgetown, De. 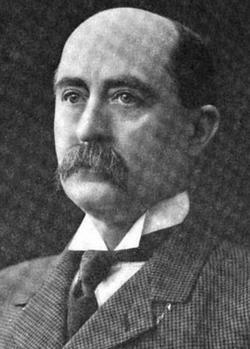 Elected as a Republican to the Sixty-sixth Congress by defeating incumbant Congressman "Albert Fawcett Polk". Was re-elected to the Sixty-seventh Congress and served from March 4, 1919 to March 3, 1923; was an unsuccessful candidate for reelection in 1922 to the Sixty-eighth Congress being defeated by "William Henry Boyce". Resumed the practice of medicine in Georgetown, De. Interment:St. Paulâ€™s Churchyard, Georgetown, De. "Click Here" for Caleb Layton's "Find A Grave" record. Date & Place of Birth:November 28, 1855, at Peppers Mills, near Laurel, De. Attended the public schools and Laurel Academy, Laurel, De. Elected as a Democrat to the Sixty-eighth Congress by defeating incumbant Congressman "Caleb Rodney Layton" and served from March 4, 1923 - March 3, 1925; renominated by acclamation for a second term but was unsuccessful for reelection in 1924 to the Sixty-ninth Congress being defeated by Republican "Robert Griffith Houston"
Interment:Christ Episcopal Church Cemetery, Dover, De. "Click Here" for William Boyce's "Find A Grave" record. Date & Place of Birth:October 13, 1867, in Milton, De. Nephew of U.S. Representative "John Wallace Houston"
Admitted to the Delaware bar in 1888 and commenced practice in Georgetown, De. Resumed the publishing business and also the practice of law at Georgetown, De. "Click Here" for Robert Houston's "Find A Grave" record. Date & Place of Birth:October 23, 1884, in Georgetown, De. Admitted to the Delaware bar in 1907 and commenced practice in Wilmington, De. "Click Here" for Wilbur Adam's "Find A Grave" record. Date & Place of Birth:June 2, 1890, in Wilmington, De. Attended the public schools of Wilmington and the University of Delaware at Newark, De. 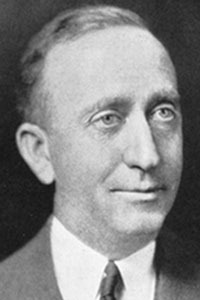 Elected as a Republican to the Seventy-fourth Congress and served from January 3, 1935 - January 3, 1937; unsuccessful candidate for reelection in 1936 to the Seventy-fifth Congress being defeated for office by "William Franklin Allen". Appointed Architect of the Capitol August 16, 1954; assumed duties October 1, 1954, and served until his death in Washington, D.C.
Interment:Lower Brandywine Cemetery, Centerville, De. "Click Here" for John Stewart's "Find A Grave" record. Date & Place of Birth:January 19, 1883, in Bridgeville, De. Attended the public schools at Bridgeville, and Laurel, De. Elected as a Democrat to the Seventy-fifth Congress by defeating incumbant "John George Stewart" and served from January 3, 1937 - January 3, 1939; unsuccessful candidate for reelection in 1938 to the Seventy-sixth Congress being defeated for office by "George Short Williams". Interment:Odd Fellows Cemetery, Seaford, De. "Click Here" for William Franklin Allen's online memorial on "Find A Grave". Date & Place of Birth:October 21, 1877, in Ocean View, De. Elected as a Republican to the Seventy-sixth Congress by defeating incumbant "William Franklin Allen" and served from January 3, 1939 - January 3, 1941; unsuccessful candidate for reelection to the Seventy-seventh Congress being defeated for office by "Philip Andrew Traynor". "Click Here" for George Williams' "Find A Grave" record. Date & Place of Birth:May 31, 1874, in Wilmington, De. Elected as a Democrat to the Seventy-seventh Congress by defeating incumbant "George Short Williams" and served from January 3, 1941 - January 3, 1943; unsuccessful candidate for reelection in 1942 to the Seventy-eighth Congress being defeated by "Earle Dukes Willey". Resumed the practice of dentistry at Wilmington, De. Elected as a Democrat to the Seventy-ninth Congress by defeating incumbant "Earle Dukes Willey" and served from January 3, 1945 - January 3, 1947; unsuccessful candidate for reelection in 1946 to the Eightieth Congress being defeated by "J. Caleb Boggs". "Click Here" for Philip Traynor's "Find A Grave" record. Date & Place of Birth:July 21, 1889, in Greenwood, De. Admitted to the Delaware bar in 1920 and commenced practice in Dover, De. Elected as a Republican to the Seventy-eighth Congress by defeating incumbant "Philip Andrew Traynor" and served from January 3, 1943 - January 3, 1945; unsuccessful candidate for reelection in 1944 to the Seventy-ninth Congress being defeated by "Philip Andrew Traynor". Resumed the practice of law in Dover, De. Interment:St. Johnstown Cemetery, near Greenwood, De. "Click Here" for Earle Willey's "Find A Grave" record.